Our kids are obsessed with pizza and if they could have at every meal they’d probably be happy! However, I get sick of pizza after a while and I try to mix things up. 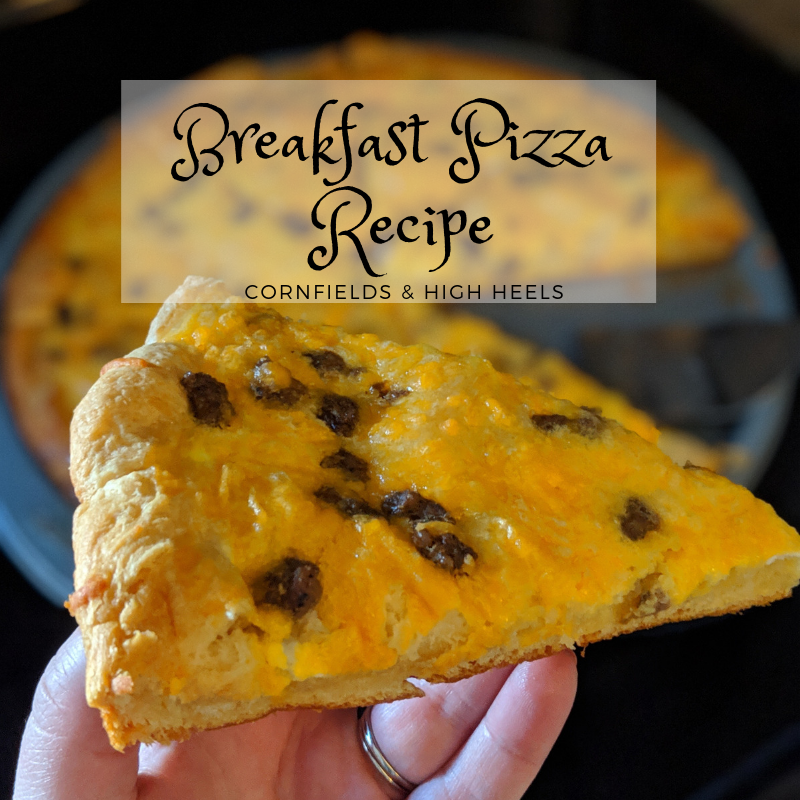 Breakfast is usually fast and on-the-go at our house, this past weekend I whipped up a quick breakfast pizza with simple ingredients I already had on hand. It was so easy and really good! This is a kid-approved recipe. 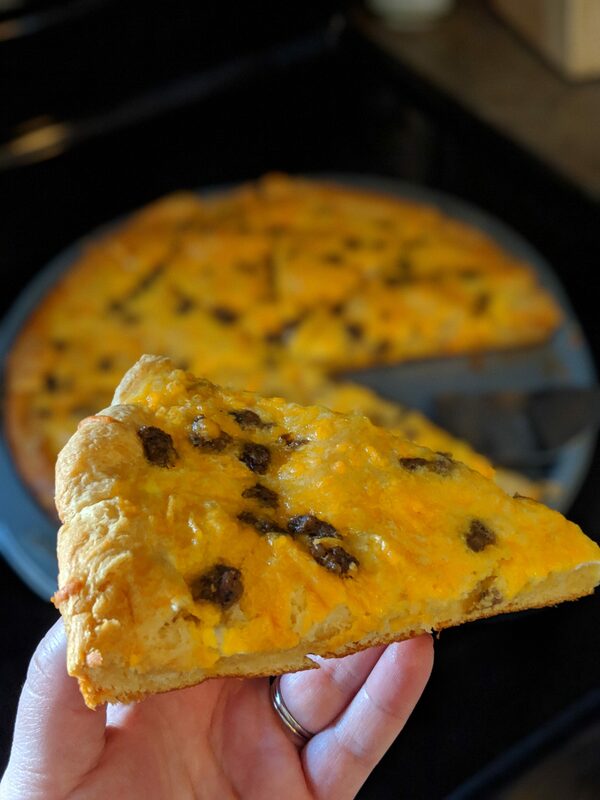 All you need is 4 ingredients: crescent roll dough, eggs, sausage crumbles (or whatever toppings you prefer! ), and cheese. On round, pizza pans, spread the uncooked crescent roll dough over the bottom of the pan. Make sure to knead together the rolls so it is seamless and resembles dough for a pizza. Create a crust "edge" around the pan to prevent the eggs from overflowing. Whisk eggs and pour on top of the dough. Add crumbled sausage, and then cheese to the top of eggs.